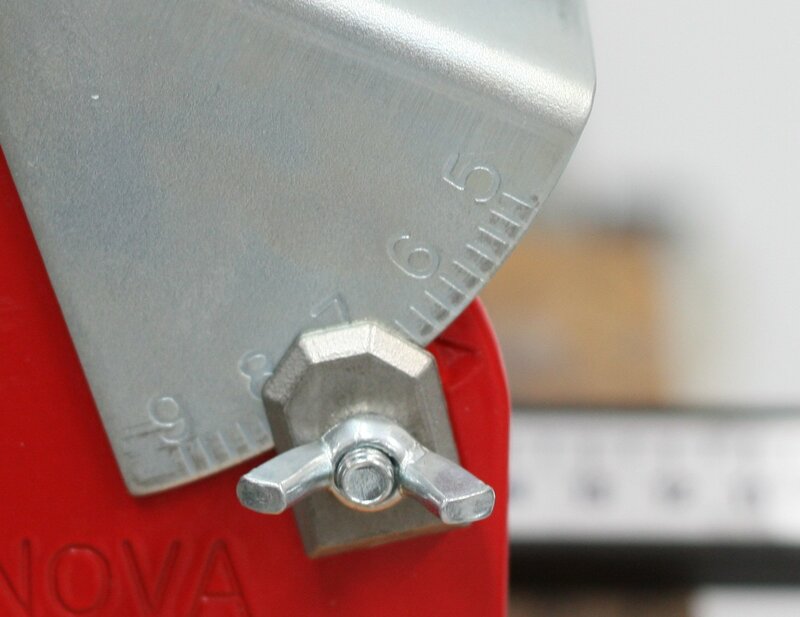 NOVA 35018 Sharpening Center brings the precision of machine grinding, but without the cost. 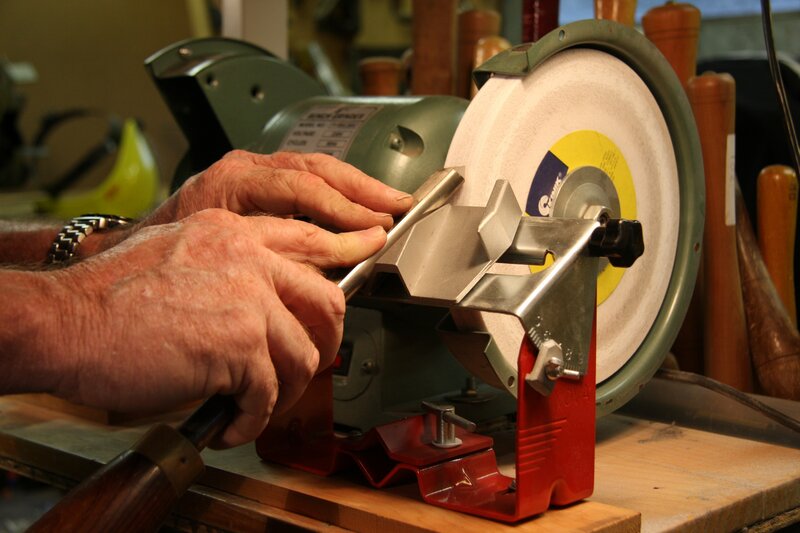 Combines the traditional Grinding Jig and the Powerful Finger Grind Jig into one versatile sharpening tool. Achieve true and precise machine grinding with controlled slideway, delivering all the advantages of a grinding machine to your bench grinder. Designed to be lightweight but rigid – your hand feels the grind, not the holder. 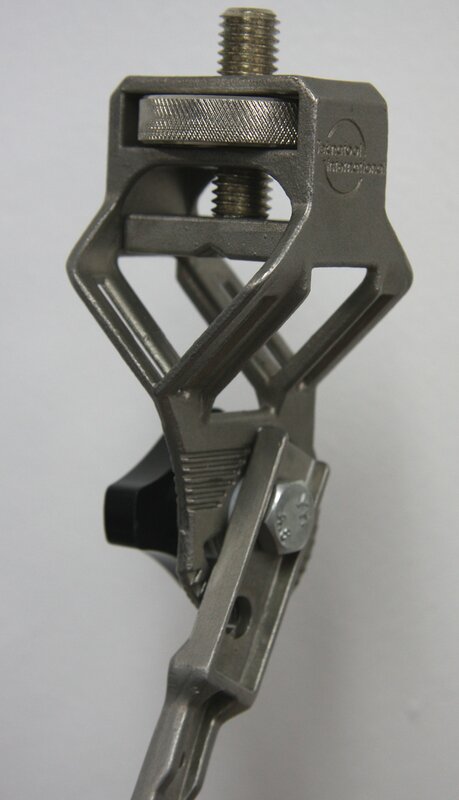 The Finger Grind attachment is included as standard equipment, giving enormous capacity for large chisels up to 1″. 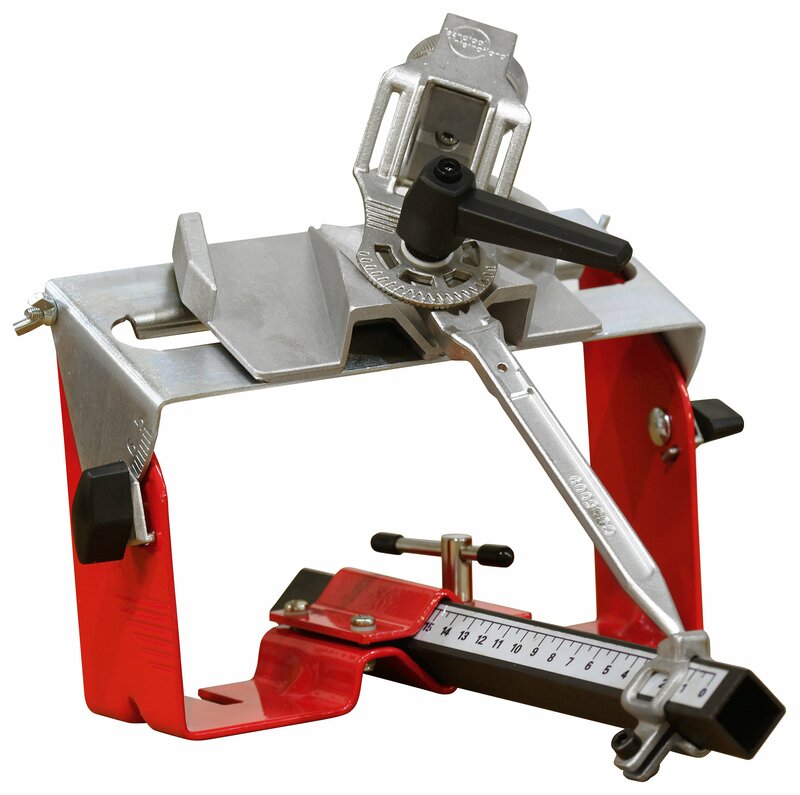 It is able to handle spindle and bowl gouges, parting tools, skew chisels, scraping tools plus woodworking chisels. 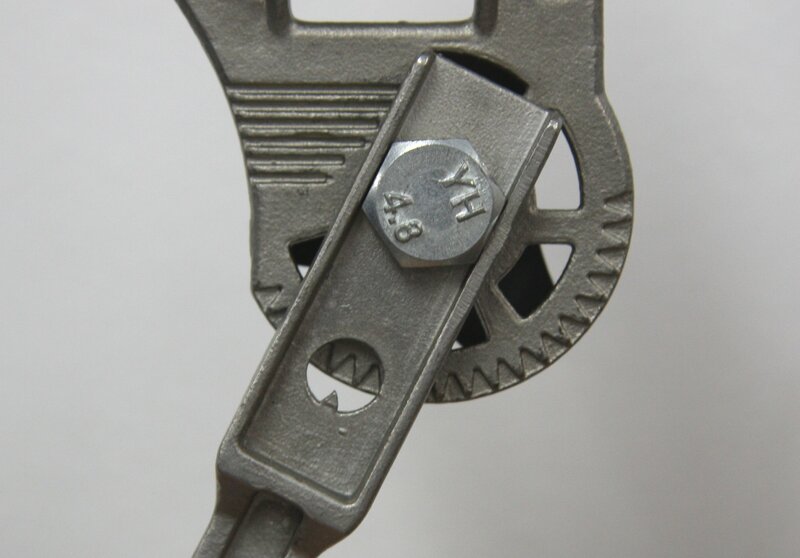 The best grinding principles are used – the across the carriage minimizes contact with the wheel thus reduces heating. This is the best method to allow the chisel tip to retain it hardness and edge. It also keeps the grinding wheel in good condition. The NOVA 35018 Sharpening Center can precisely and easily dress the stone accurately. The slideway makes the dressing easy – the wheel is perfectly flat and parallel. Most other systems rely on hand dressing. Note: Diamond dressing or other dressing stones are not included as standard in the unit. Fits 6″ and 8″ bench grinders. Includes Base, Sliding Platform, Adjustable Arm, Finger Grind Unit, Fasteners and Instruction Manual.